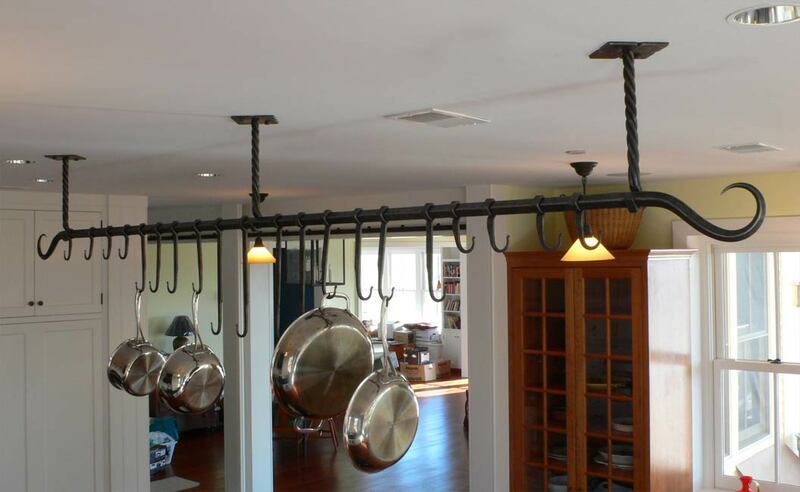 Dimensions: 9’9" x 5" x 27"
Based on the Clark pot rack, with some new features. 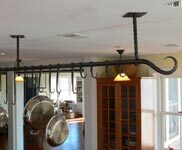 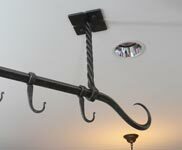 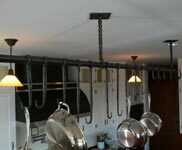 The main bar is removable so that the hooks can be re-arranged or additional hooks made and mounted. 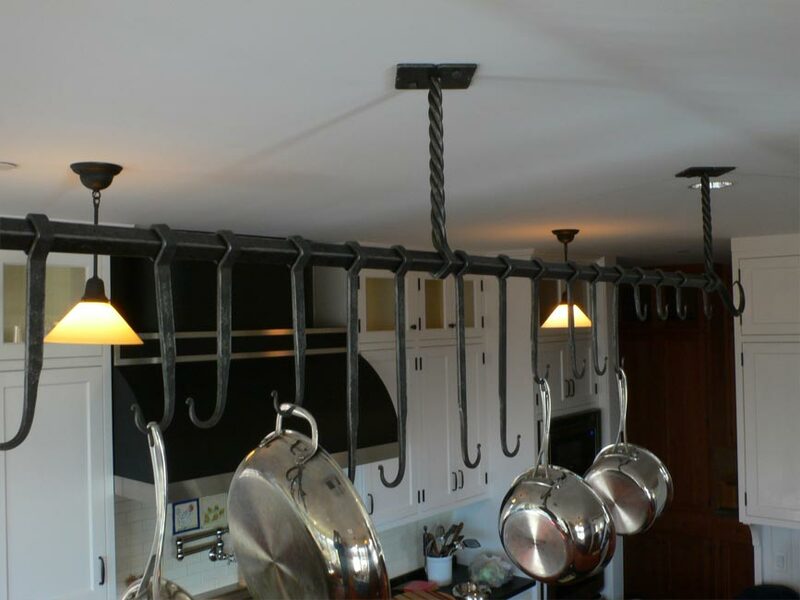 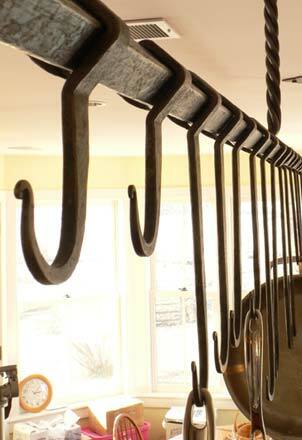 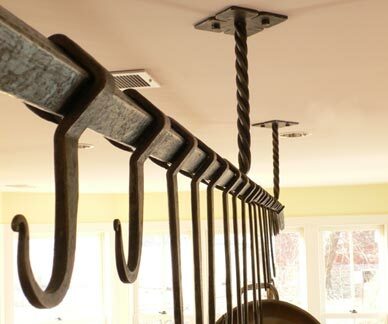 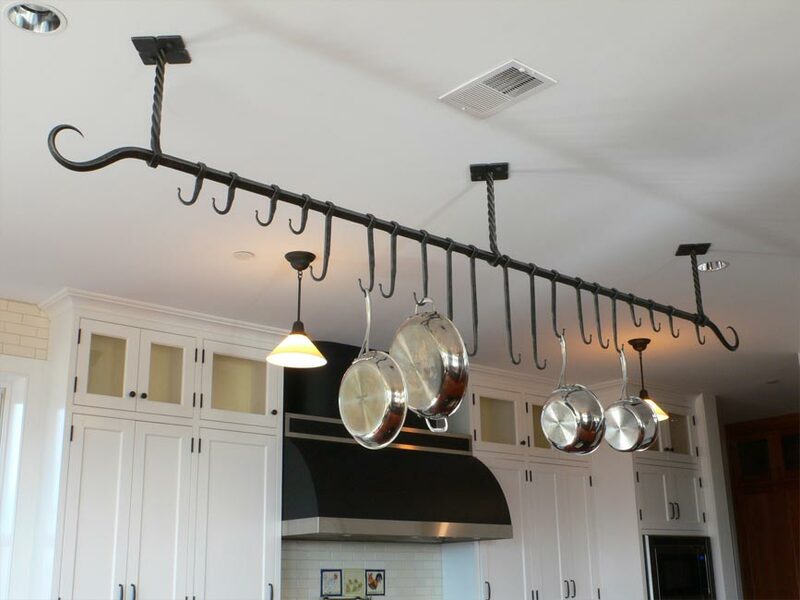 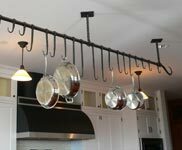 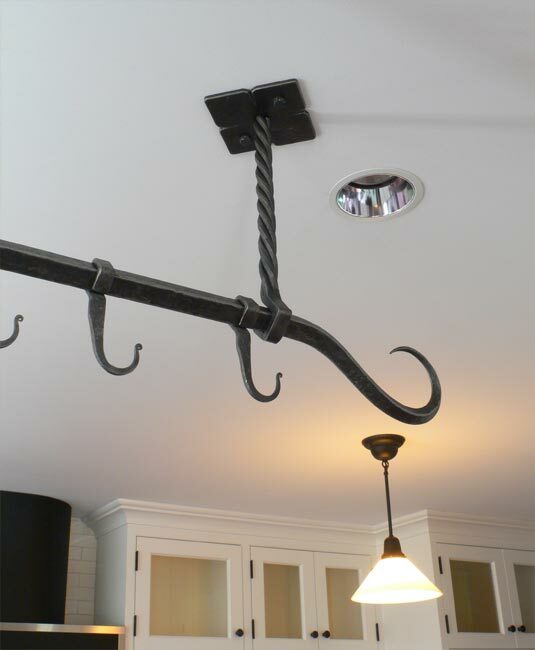 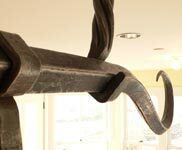 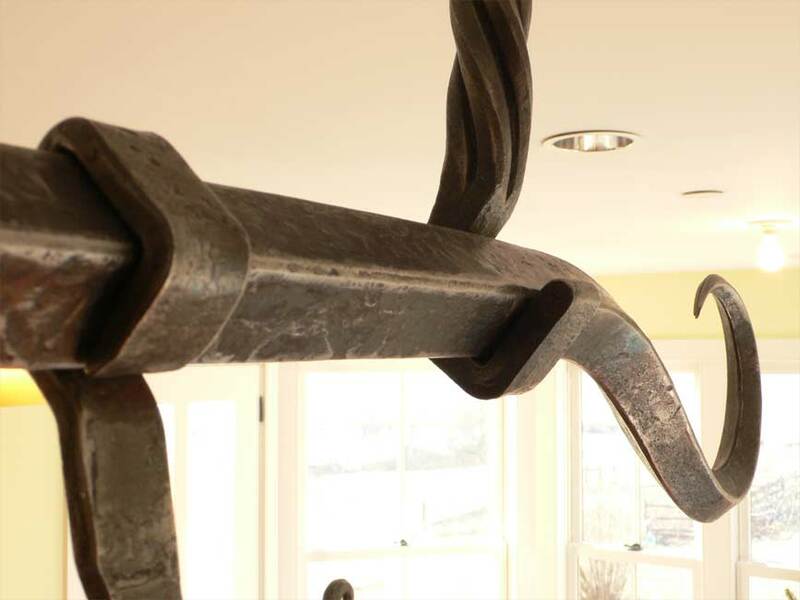 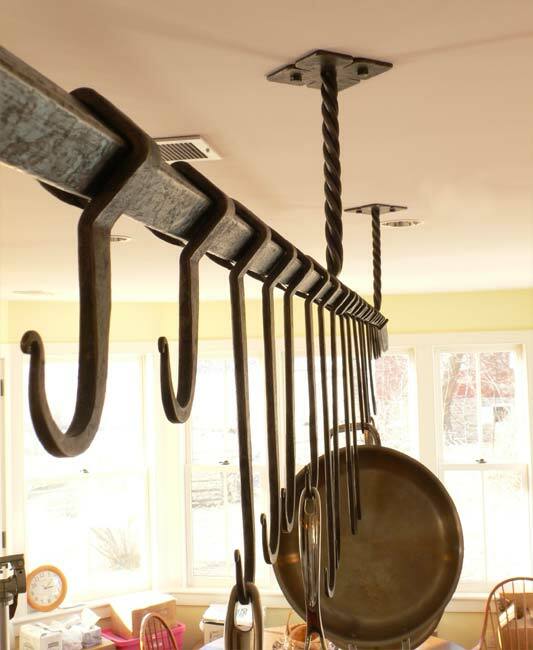 Here an assortment of varied length hooks have taken into account size differences in pots, thus maintaining a relatively uniform height above counter top.